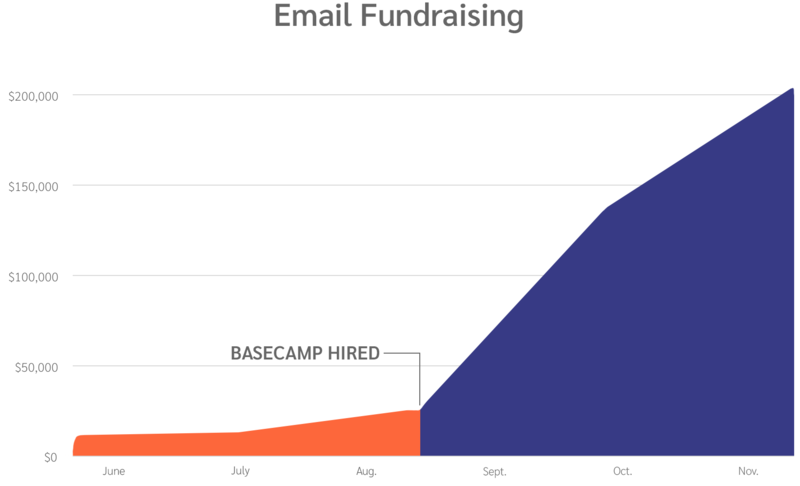 In 2018, we took over several underperforming digital programs and, over email alone, raised on average 4 times more in our first month. We then went on to raise hundreds of thousands of dollars before Election Day. We did it with honest storytelling, using each candidate’s authentic voice. 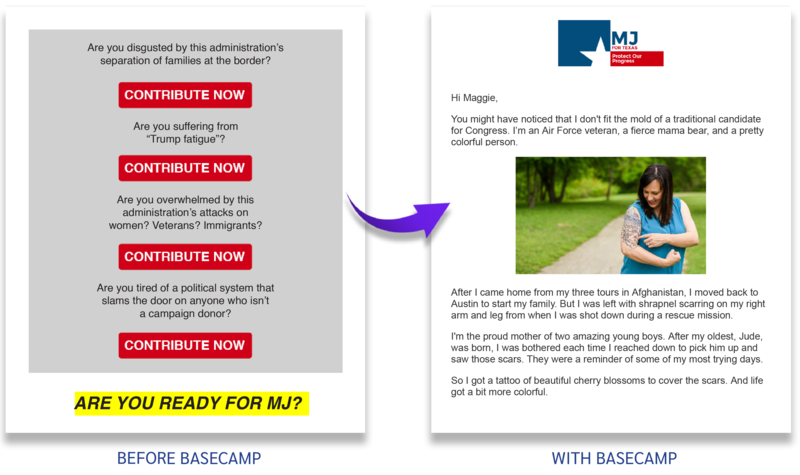 When we took over MJ Hegar’s digital program in late July 2018, she’d already been through two digital firms. She’d received national attention for her bio video “Doors” that racked up millions of views online, but her previous firm was still sending out generic content. 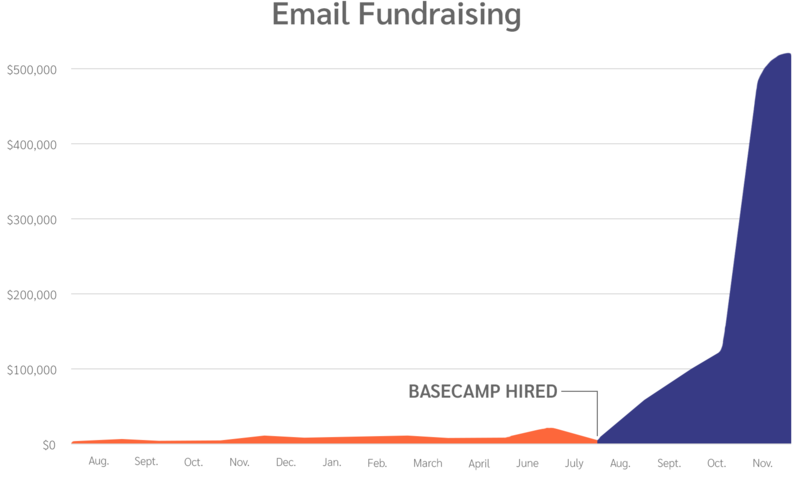 Her email performance was underwhelming, with messages averaging less than $1,000. We got straight to work, replacing her cookie-cutter content with creative that ran toward what made MJ such a compelling candidate: her personal story. 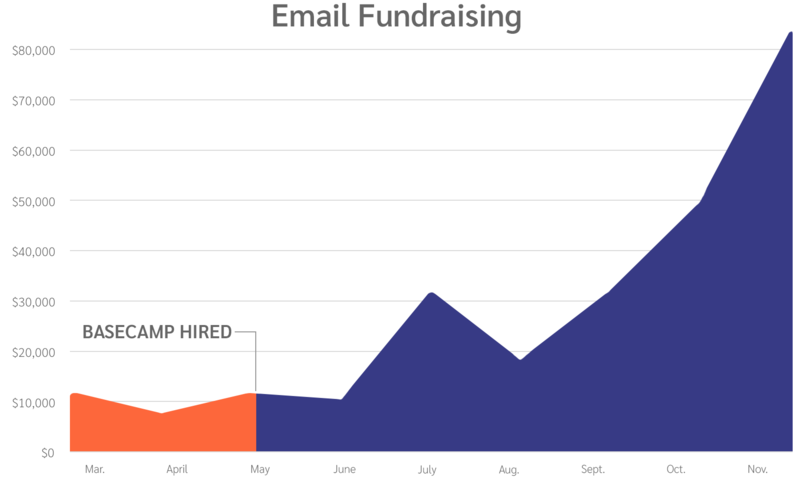 In our first month, we averaged $5,075 an email—a more than 5x increase over her previous firm—and went on to raise $832,000 over email in the 3 1/2 months before Election Day. We did it by weaving MJ’s story into every message, which built a strong connection between MJ and her list. That meant her supporters were highly invested in the race when she needed them the most, raising over half a million dollars entirely over email from October 1 to November 6. MJ came within 3 points of beating a 15-year incumbent in a deep red seat. When we met Susan Wild, she was in a tough 6-way primary and having trouble breaking through the noise. 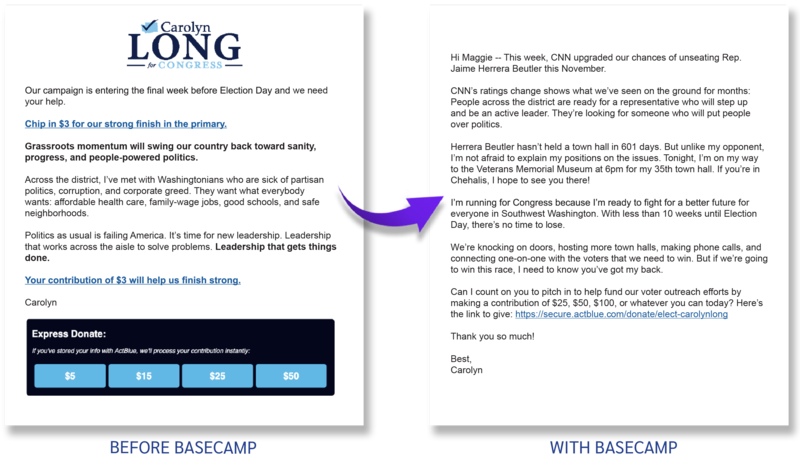 She had lower name recognition than several of her opponents and she was underperforming over email, often raising only a few hundred dollars a message. We were brought on to jumpstart her overall fundraising. We collaborated with her existing digital team to adjust content and focus more on the specifics of her race and what made her an especially strong candidate for the district. We also ran a separate program specifically geared toward a targeted universe of high dollar prospects we developed for her. She won her primary by 3 points, and then we took on her full digital program and implemented our strategies more broadly. After a strong June, returns dipped in July. 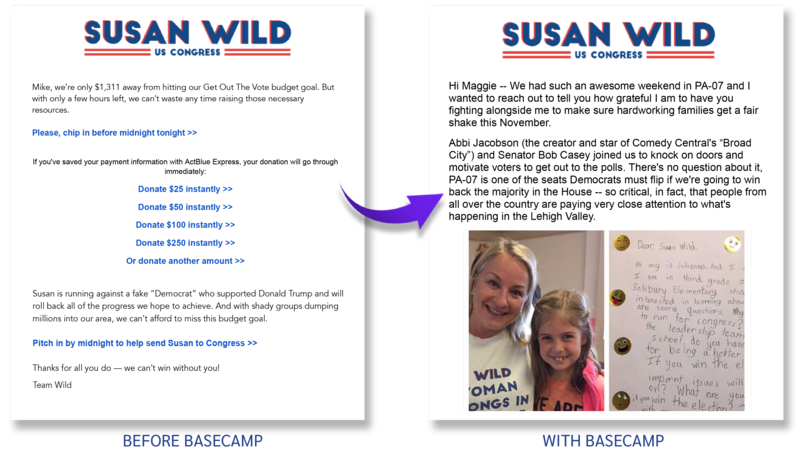 We re-evaluated our strategies, and went on to help Susan Wild raise over $250,000 from email alone through Election Day, when she won PA-07 in a decisive victory.